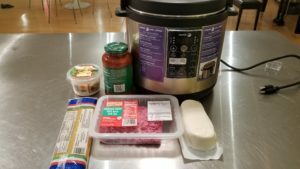 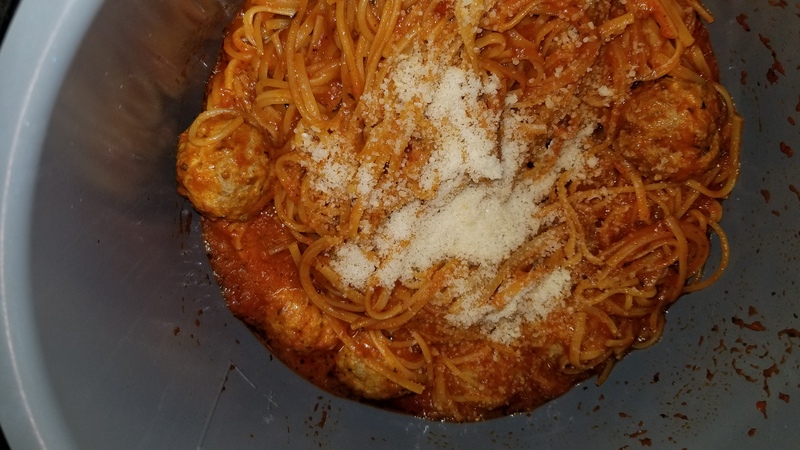 Tonight we had so much fun making spaghetti and meatballs in our equivalent of an InstaPot. 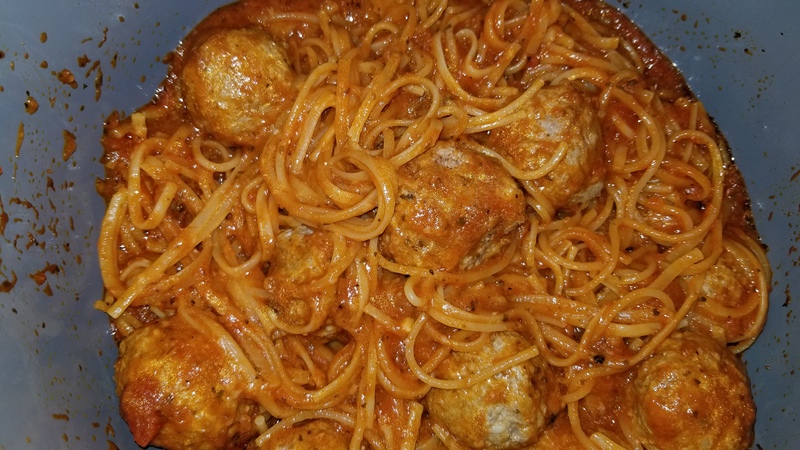 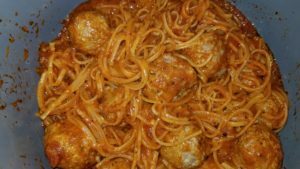 It was so much easier and faster than making normal spaghetti and meatballs and delicious as well. 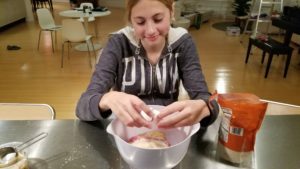 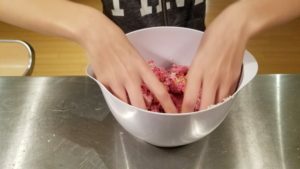 We followed a recipe we found in the New York Times by Melissa Clark (and took a few shortcuts because it was a school night (and Mom was working late). The ingredients are simple: dried pasta, parmesan cheese, ground beef, mozarella cheese, panko bread crumbs, chopped garlic, one egg, and a bottle of good tomato sauce (or if you have time, you can make your own tomato sauce in the instapot thingy). 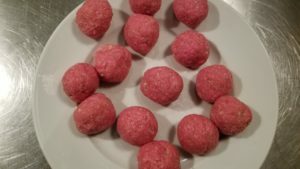 So the first step (if you are using bottled tomato sauce) is to make the meatballs: chop the garlic and then combine ground beef, chopped garlic, bread crumbs, parmesan cheese and one egg and form into balls a little bigger than one inch. 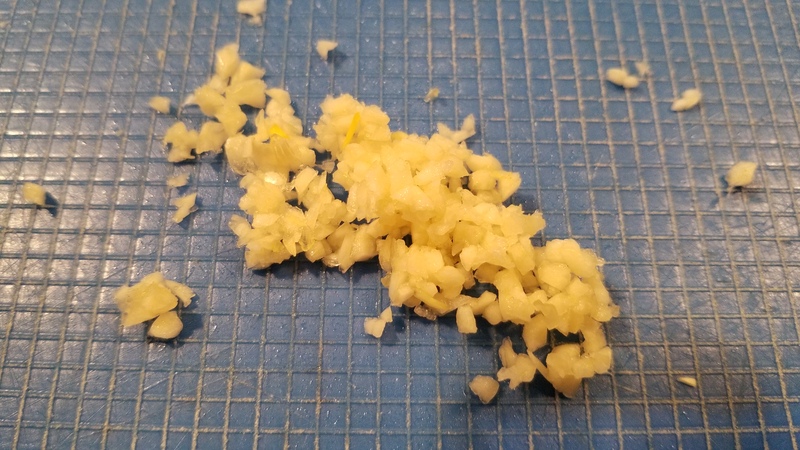 Don’t forget salt and pepper too. 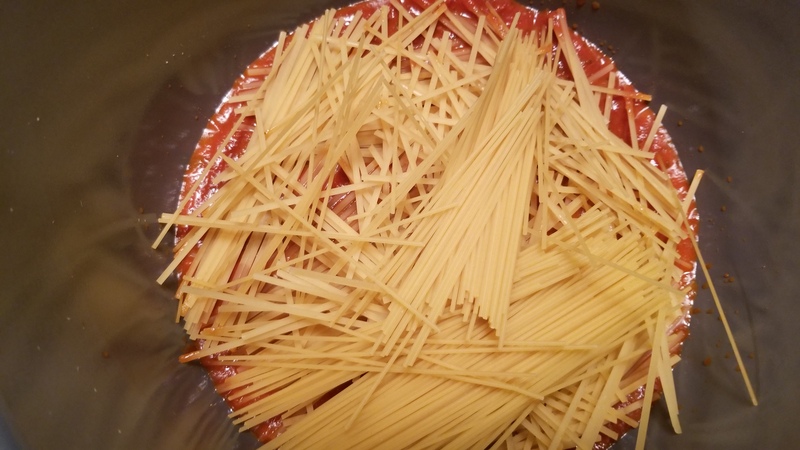 The next step is to pour the tomato sauce in your InstaPot and then put uncooked spaghetti on top. 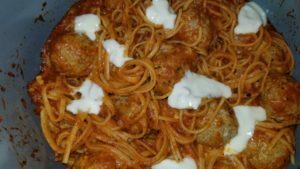 Then you drizzle olive oil on top of the spaghetti noodes and spread it around (so they don’t stick while they are cooking). 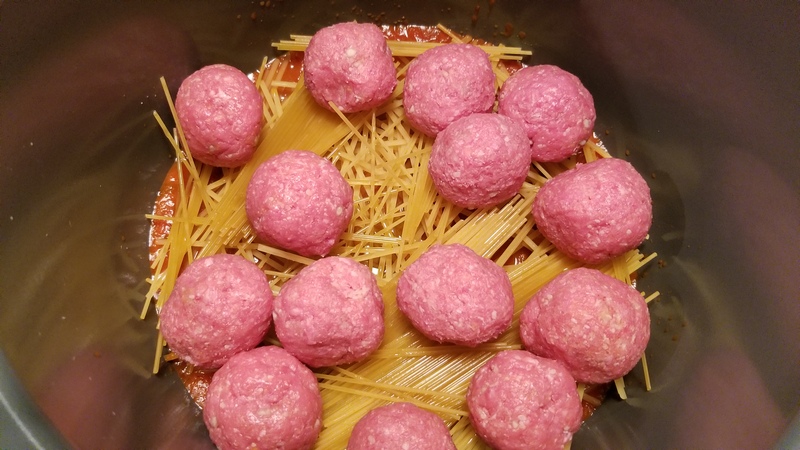 Finally add the meatballs and one cup water. 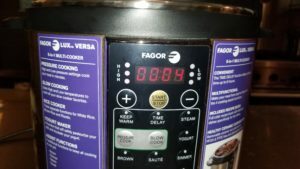 The you cover and cook on high pressure for 5 miuntes. When that’s done, let the pressure out and stir to separate the spaghetti (if you have a plastic pasta fork, that’s the best thing). 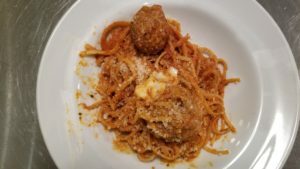 Sprinke grated parmesan on top and let sit for 5 minutes and then add slices of fresh mozarella (Melissa Clark said ricotta but we decided mozarella would taste better) and let sit for another 5 minutes with the top loosely on.